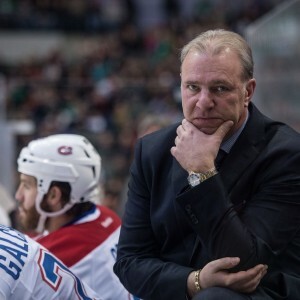 Reports Montreal Canadiens head coach Michel Therrien could be safe for next season have left many fans befuddled. After all, he’s helped lead the team to a downslide of historic significance and what looks like, with some certainty, a finish out of the playoffs. So, just what would it take for him to lose his job? Up to now, the Habs have been able theoretically able to justify keeping the coaching staff the way it is for two main reasons. 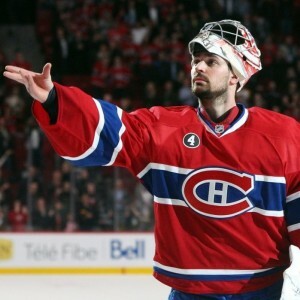 One would be the whole injury situation, with star goaltender Carey Price for example suiting up for only a dozen games. The other would be Therrien’s ability to maintain a simply mediocre record in the face of all those injuries, which I suppose in some circles within the media is considered a good job? Forget the fact that the whole loser point disguises what actually amounts to a pretty horrible 32-38 record heading into Wednesday night. If the Habs do end up losing their remaining 12 games, they would be in line for their worst finish since 2000-01 (another 70-point season). The head coach that started that season, Alain Vigneault, didn’t last past November, while his replacement was… coincidentally Therrien. It was all in all an embarrassing campaign that provided just a single 20-goal scorer on the team (Brian Savage). Needless to say the inevitable parallels to be made between this season and that previous one—the third consecutive year the Habs didn’t make the NHL playoffs officially for the first time since the 1920s—would be nearly impossible to ignore and in all likelihood lead to major changes. Yet another reason to embrace the tank. File this one under extremely unlikely, even if, one would think, the team’s performance without Price in net should speak volumes enough. The bottom line here is if there were actual issues between the head coach and the team’s (and league’s) best player, the choice by management would be an easy one. Granted, there have been rumors over the years of Therrien having problems with several of his players—including valuable ones like P.K. Subban—and nothing was ever done. However, for all intents and purposes, that’s all those were, rumors. An off-hand remark, even in passing, by a player like Price at a post-mortem press conference might be enough to lend some credence to the theory Therrien has lost the room, in which case he likely wouldn’t last the rest of the interview before being shown the door. No, Price is not traditionally the type to throw anyone under the bus. Nor is there any evidence to suggest there is a rift between them. So, consider this wishful thinking. However, if Price is going to be used as an excuse as to why Therrien should keep his job, he could just as easily be the main reason he loses it. In fact, many might argue he should be already due to the blemishes he has helped cover up, up to now. Finally, a workable theory as to why Therrien has seemingly categorically refused to show any confidence whatsoever in the organization’s younger players: Do so and he’ll spark a chain reaction of epic proportions that will leave the Bell Centre half-empty. It’s obviously a direct order from the top. This isn’t the pre-season after all, and veteran names drive ticket sales. So, when the opportunity presents itself for general manager Marc Bergevin to send a promising young talent in Charles Hudon back down to the American Hockey League and for Therrien to play Mike Brown against the Florida Panthers, you’ve just got to take it. Stands are like half empty at the start of the third. Granted, Brown had a decent game, and, if there’s one thing Therrien cannot be accused of right now, it’s not playing rookies. It just would have been far more admirable had he embraced that strategy before he had no other choice but to for lack of any other healthy bodies. You can only stay in the foxhole so long before the enemy starts to close in, to stay with Bergevin’s metaphor from way back when he promised not to fire Therrien this season. There comes a time when you just have to make your move. Unfortunately for Habs fans, that’s not exactly Bergevin’s forte, at least not this season. His moves, even if they can be good ones, are of the minor variety. Sure, he may stick his neck out once in a while, but, just like his insistence that the team’s failures are all on him instead of Therrien, it might just end up being for a lost cause. 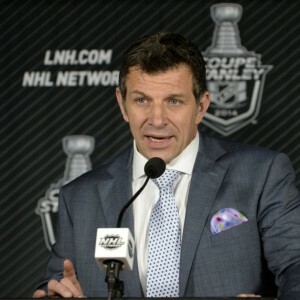 Bergevin must learn that he can only get so much done sitting on his hands. You may not want to pull the trigger, but not even giving yourself the option to in a worst-case scenario certainly won’t be in your best interest. One of the primary reasons Therrien might not be fired has to trace back to this silly talent-limiting necessity to hire only French-speaking coaches. 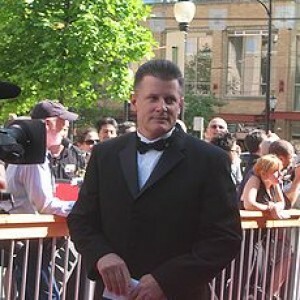 Well, the good news is Stanley Cup-winning head coach Marc Crawford comes ready-built with a first name that should help ingratiate him to all stakeholders. The better news is Crawford’s French-language skills—which he had to get a grasp on when he coached the Quebec Nordiques—have reportedly improved significantly since he started coaching in Switzerland in 2012. The fact that Crawford was in the running back then for the Habs gig that Therrien ultimately got can mean a few things, namely that he wasn’t a good-enough candidate or Montreal picked the wrong guy. Seeing as that talent pool isn’t getting much bigger, the Habs have little to lose betting on the second option.